Celebrations for the Maldives’ golden jubilee of independence kicked off on Friday night with a massive fireworks display at the newly renovated Republic Square. Thousands watched in awe as the night sky over Malé lit up for more than half an hour with the largest display of fireworks the country has ever seen. President Abdulla Yameen, first lady Fathimath Ibrahim, former presidents Maumoon Abdul Gayoom and Dr Mohamed Waheed Hassan oversaw the celebrations. Judges, cabinet ministers, heads of independent institutions and some diplomats were present as well. Maldives will celebrate 50 years of independence from the British on July 26. A team of 23 individuals, including students, doctors, pilots and sportsmen cut the ribbons and officially opened the Republic Square before the fireworks display. State owned Maldives Transport and Contracting Company has built a new musical fountain at the main square. At the center of the fountain is a monument symbolizing unity. The fountain started sprouting water when a group of children carrying traditional water containers poured water inside it. Housing minister Mohamed Muizz said millions had been spent to renovate the Republic Square. According to the Finance Ministry, a budget of MVR150million (US$9.7million) has been allocated for Independence Day celebrations. All government buildings, streets, lampposts and hundreds of trees and walls in Malé city have been decked in blinking red, yellow and white neon lights. Sri Lankan President Maithripala Sirisena will arrive at 12:45pm today for the official function to be held at the Usfasgandu area tomorrow morning. He is the only head of state to attend Maldives’ golden jubilee of independence. Other dignitaries from China, Pakistan, India, Saudi Arabia, Mauritius, Japan, Bangladesh are expected to arrive throughout the day today. The government is yet to disclose the full program of events for the weekend. The celebrations include a parade by the army and school brass bands, reopening of public parks, official games at the national stadium and football tournaments. Former presidents Ibrahim Nasir and Maumoon Abdul Gayoom will receive an honorary shield at the official function tomorrow. A three hour play, depicting different stages of Maldivian history from the Buddhist-era to the present will take place at the national stadium on July 27. Bollywood pop star Sanam Puri is to perform in Malé tonight. 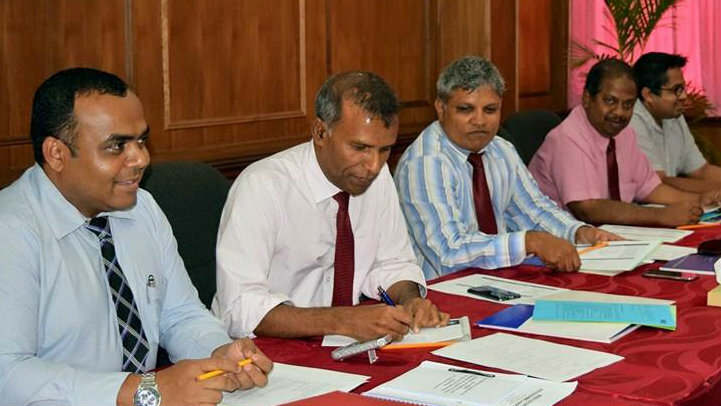 The anti-corruption commission is investigating the home ministry’s use of the MVR150million budget. A constitutional amendment to allow foreigners to own land in the Maldives will be up for debate at an extraordinary parliament sitting tonight, only hours after it was submitted to parliament. The amendment allows foreign parties to own land for projects worth US$1 billion. Ownership is dependent on the parties reclaiming more than 70 percent of the plot. The constitution at present prohibits foreigners from owning land under any circumstances, but allows the government to lease land to foreign parties for up to 99 years. The amendment is the second amendment proposed to the constitution since it was ratified in 2008. It was proposed by Ahmed Nihan, MP of the ruling Progressive Party of the Maldives (PPM) and the majority leader. Nihan said he has proposed the amendment to increase economic growth and to facilitate sustainable investment. 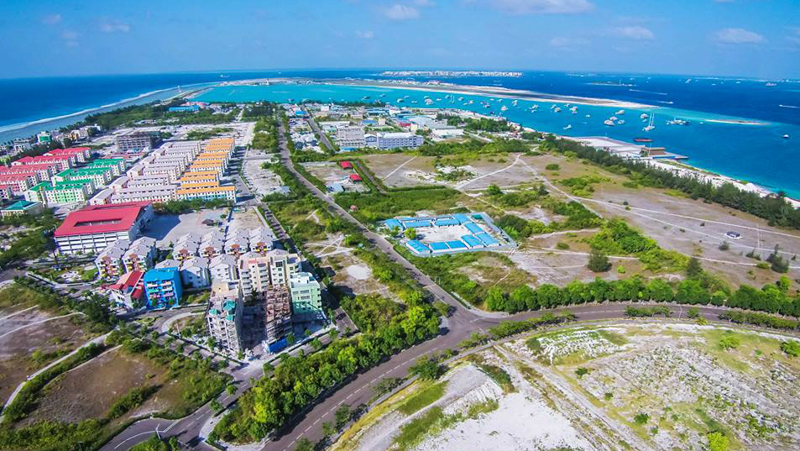 It will allow foreigners free holds in the Maldives, and to transfer ownership or lease their plots. The amendment comes amidst negotiations between the government and the main opposition Maldivian Democratic Party (MDP). The opposition has so far backed several unprecedented measures proposed by the government in hope of freedom for jailed opposition leader Mohamed Nasheed and other politicians. MPs in June passed the first amendment to the constitution to set new age limits of 30-65 years for the presidency. Subsequently, vice president Dr Mohamed Jameel Ahmed was impeached today. He is expected to be replaced by tourism minister Ahmed Adeeb. The amendment may be put to a vote as early as tomorrow. Tonight’s sitting was scheduled after the parliament today approved changes to the standing orders to fast-track the process of passing a bill into law. The legislative process includes three main stages: a preliminary debate on the floor, an extensive review by a committee involving consultations with stakeholders and experts, and a final debate on the committee’s report followed by a vote. However, under the new rules, all three legislative stages can be carried out consecutively and a final vote could be held on the same day as a bill is submitted. The changes were approved with 56 votes in favour and 24 against. The PPM in 2014 enacted a law on special economic zones with tax breaks and little regulation to incentivize foreign investment. The government previously said one SEZ project could transform the economy, but has so far failed to attract investment. The amendment on foreign ownership comes amidst increased attempts by the government to woo Chinese and Middle-eastern investors. The proposed change includes amending Article 251 of the constitution and adding a new chapter to the constitution. Below are some important provisions. Article 305: The parliament can increase the threshold for investment by a law. However, such a change will not apply to projects approved before its enactment. Article 251: No foreign party shall own land in the Maldives, except under the circumstances specified in Article 302. Allowing foreigners to own land under Article 302 does not undermine the Maldivian state’s sovereignty over its territory and does not amount to loss of territory. Reporting by Hassan Mohamed, Ahmed Naish and Zaheena Rasheed. 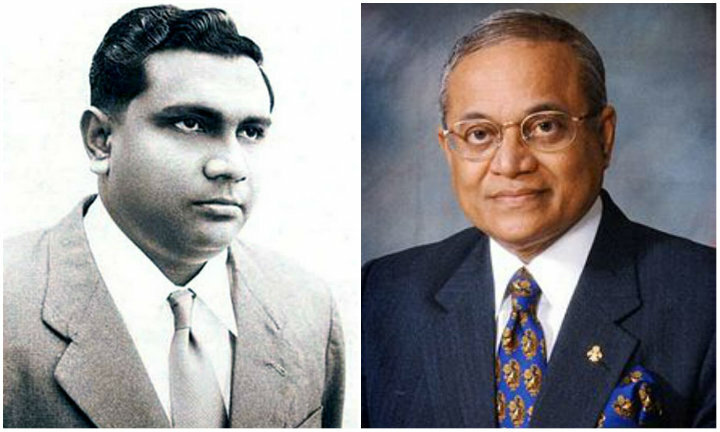 Former presidents Ibrahim Nasir and Maumoon Abdul Gayoom are to receive an honorary shield on the Maldives’ golden jubilee of independence from the British on July 26. Nasir, who served as the president of the Maldives from 1968 – 1978, is being honored for his role in securing independence for the Maldives. When the independence agreement was signed in 1965, he was prime minister of the Maldives. Nasir died in exile in Singapore in 2008 at 82 years of age. His body was flown back to Malé where he received a state funeral. Gayoom, who succeeded Nasir and served as the president from 1978 – 2008, is being honored for his role in maintaining the Maldives’ independence, the president’s office said today. He remains influential in Maldivian politics. The government is planning to hold grand celebrations to mark the 50th anniversary of independence, including a parade by the army and school bands, reopening public parks with water fountains, and an official function at the Usfasgandu area. More than 100 foreign dignitaries are expected to attend. The government is yet to disclose the full program for the day. 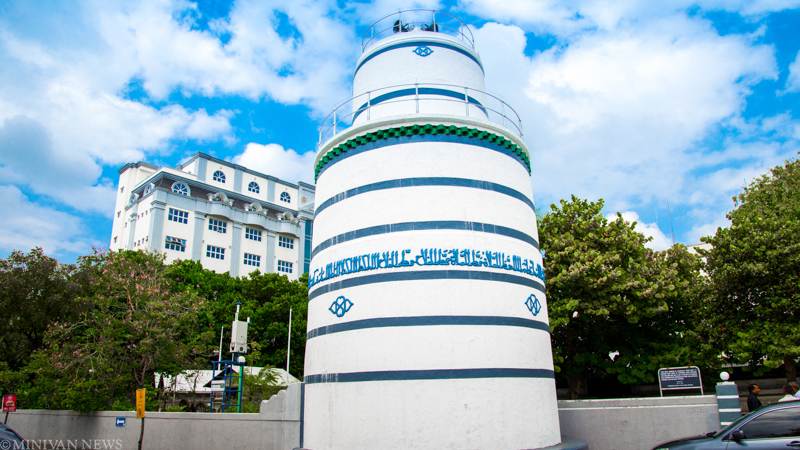 Several areas at Male’s waterfront have meanwhile been closed off as the government rushes to complete major renovation projects including a new official jetty and a musical water fountain at the Republic Square before July 26. Ibrahim Muaz Ali, the spokesperson at the president’s office, said President Abdulla Yameen had asked for updates on preparations at a cabinet meeting today. “The President requested his minister’s to use all the government’s resources to hold the Independence Day celebrations,” he said. A budget of MVR150million (US$9.7million) has been allocated for Independence Day activities. The Supreme Court, the President’s Office, the foreign ministry, the Malé power plant and other government offices have been decked in lights for July 26. Plastic palms have been set up in some areas. Malé’s streets have also been decked in flags. Deputy minister for home affairs Ahmed ‘Maaz’ Saleem, who is in charge of the organizing the activities, told the press previously that a three-hour play will take place at the national stadium from 9pm to 12pm on the night of July 27. The play will show different stages of Maldivian history from the Buddhist-era to the present and depict the sacrifices of national heroes to maintain the country’s independence. It will also feature video projections. 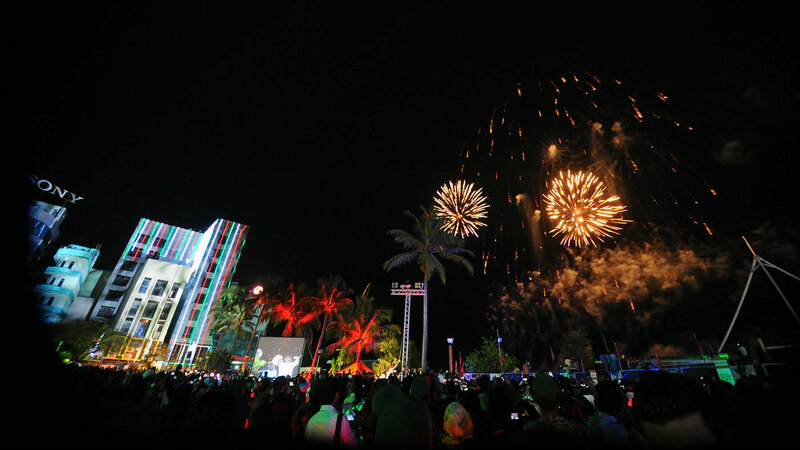 The Minivan 50 or independence 50 office has awarded a contract to a British company called The Projection Studio to manage sound, light and projection at the official celebrations. The skydivers will land at the national stadium using special parachutes manufactured with the national flag. The second part of the skydiving training is due to start in Malé today with Malaysian trainers. The state broadcasting company, Public Service Media (PSM), has let off a senior technical officer found guilty of sexual harassment with a warning. The PSM said in a statement yesterday that “a just decision” was made in accordance with the law and that the offender has been punished. According to 2014 sexual harassment law, government offices must set up internal committees to investigate complaints of workplace harassment within 60 days. The committee is authorised to warn, suspend or dismiss the perpetrator. 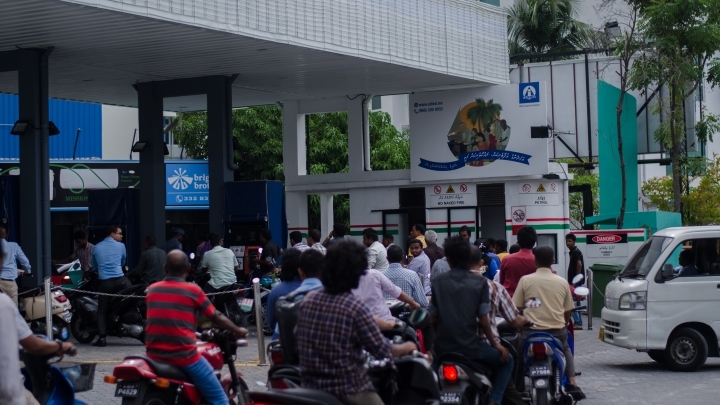 The PSM operates the Television Maldives (TVM) channel and a radio station. “They never looked into the case when there have been numerous cases where he assaulted women. This time they had no other choice but to investigate the matter after it was exposed in the local media,” an employee said. CNM reported yesterday that the accused senior official was “forgiven” by the committee. 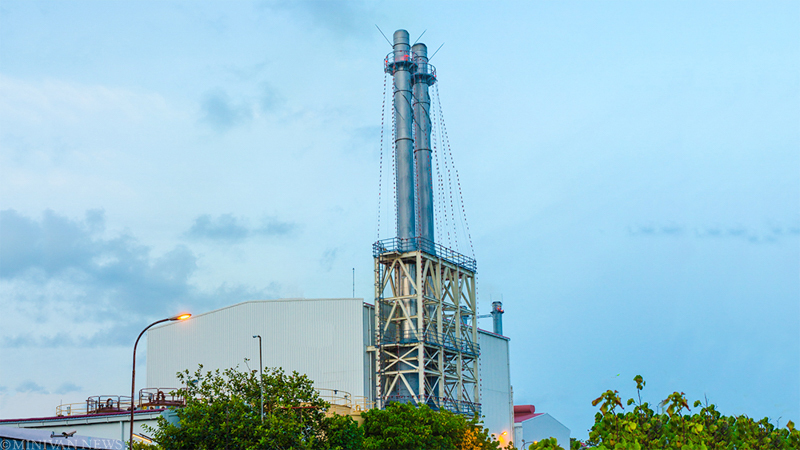 The PSM, however, denied the media reports in its press statement, noting that the complainant has the right to appeal the committee’s decision but had not done so. 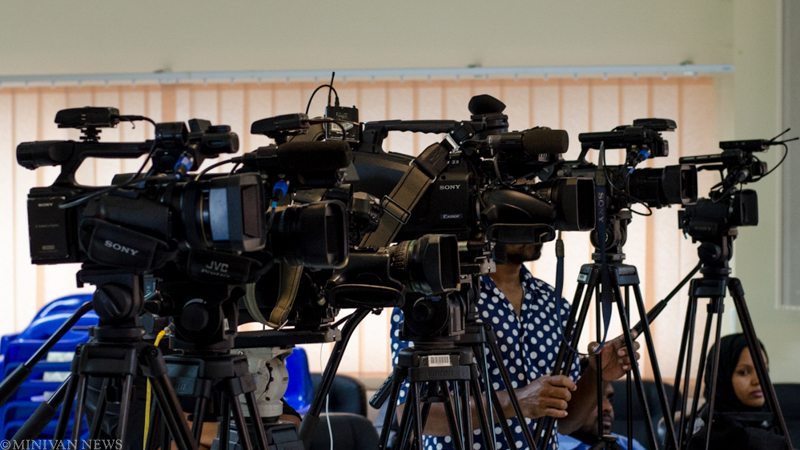 The state broadcaster said it regretted the misleading media reports that has brought PSM into disrepute and threatened to sue media outlets for damages. According to CNM, the incident occurred three weeks ago at the PSM recording library. Sources told the online news outlet that the technical officer grabbed the woman from behind and groped her breasts. The committee decided to pardon the offender because he has worked at the state broadcaster for 22 years, the sources claimed. The technical officer had reportedly confessed to the committee. Last month, a manager at the state-owned Hulhumalé Development Corporation (HDC) was also let off with a warning after he was found guilty of sexually harassing a female employee. The HDC’s human resources manager Mirshan Ahmed was accused of sending inappropriate text messages to an employee who had joined the company in March. The Islamic ministry has raised concern over publication of books on Islam in Dhivehi without official approval. In an announcement, the Islamic ministry noted that the 1994 religious unity law requires written permission from the ministry to preach, deliver sermons, and publish books concerning religion. The ministry said it has learned that books on Islam and Dhivehi translations of verses and parts of the Quran have been published without authorisation. The ministry appealed for compliance with the law in publishing religious literature. The requirement was introduced through amendments brought to the Protection of Religious Unity Act in March 2014. The amendments prohibited “sowing religious discord” in the community, outlawed independent or unauthorised prayer congregations, and required Islam to be taught as a compulsory subject in all public and private schools from grade one to 12. The changes also criminalised the construction of places of worship for other religions, the sale, possession, or advertisement of expressions or slogans of other religions and the importation, display, advertisement and sale of books of other religions. Seeking financial assistance from foreigners to propagate other religions was prohibited while permission must be sought in writing from the Islamic ministry before accepting a salary, funds, or a gift from a foreign party for conducting religious activities in the country. Similar provisions were included in the religious unity regulations enforced in September 2011 to crack down on extremist and unlicensed preaching of Islam in the country. Meanwhile, in September last year, the national bureau of classification enacted new regulations that subjected the publication of prose and poetry in the Maldives to government approval. The regulations “only formalise an approval process that has been in operation for a number of years”, the high commission insisted, adding that the “most significant development of the new regulations is that they have reduced the amount of time for books and poetry to be approved”. “The regulations were made public to ensure that all poetry and books published in Dhivehi [the Maldivian language] are published in accordance with the societal norms of the Maldives, and in accordance with the laws and regulations governing the Republic of Maldives. This is intended to protect the 2,000-year-old history of our unique language,” said the commission. The resignation of Dr Hassan Hameed, the vice chancellor of the Maldives National University, has elicited an outpouring of support on social media and a campaign requesting President Abdulla Yameen to re-appoint him to the university board. Hameed resigned on Thursday in the wake of amendments to the national university law that authorizes the president to appoint nine members to the 13-member governing council, including the chancellor and the vice chancellor. The president could previously only appoint the chancellor who also heads the governing council. Hameed had served at the university and the former Maldives College of Higher Education since 1998. He was elected for the position of vice chancellor in 2011. In a letter to all the staff at the MNU on Saturday, Hameed said he had submitted his resignation on Thursday and asked them to support new appointments to the board. “17 years is a long time in one’s life. If I’ve offended any of you, I wish for your generous forgiveness,” he said. The main opposition Maldivian Democratic Party has warned that the changes will compromise the MNU’s independence and politicize the institution. On Saturday, a supporter started a Facebook Page calling on President Yameen to reinstate Dr Hameed. The “Dr. Hassan for MNU” has gained 1,641 supporters in one day. “When the university bills were passed by the parliament, I was concerned that Dr. Hassan may not be the choice of the president of at least, that is the rumor I’ve heard. I thought it might not be in the best interest of the nation to be deprived of his service. He is one of the few individuals who have a vision for the advancement of this country in the field of science and engineering in particular, not to mention his passion for the university’s development,” said Ahmed Hussein, who had started the page. “I would like to respectfully request the president and anyone who is involved in making this decision to seriously consider Dr. Hassan’s invaluable service to the nation and to let him continue to serve the people. There is no replacement for him,” he added. Hameed was not available for comment at the time of going to press. Students and teachers at the university described Hameed as visionary and humble. The former minister of Islamic affairs Dr Abdul Majeed Abdul Bari and the minister of youth and sports, Mohamed Maleeh Jamal, said Hameed’s resignation was a loss to the nation.